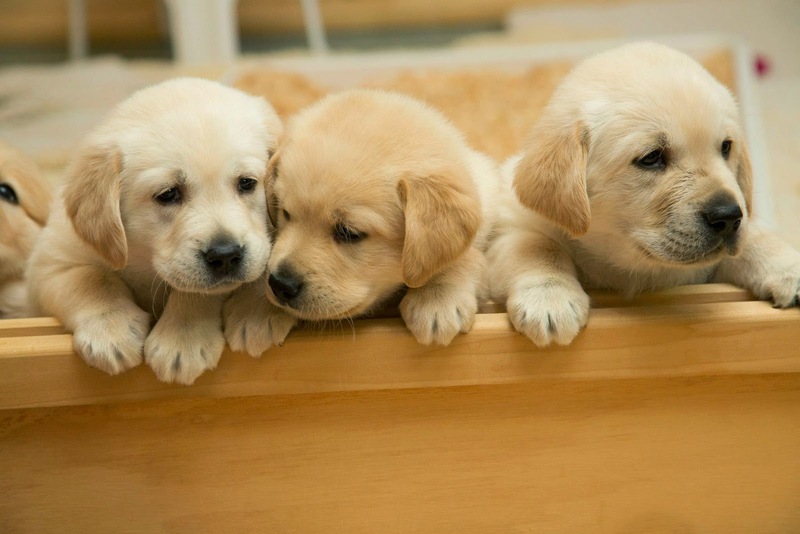 The Canine Companions for Independence Hero Litter is now five weeks old. We’re continuing to spotlight this litter on our Wordless Wednesday posts. Now that the Hero puppies have hit their five week milestone, our time to watch their acts of derring do on the Eukanuba Puppy Cam livestream in down to about three weeks. We don’t have the actual date to share with you yet, but we’re expecting these furries to be delivered to their puppy raisers near their eight week birthday on May 18. Neon Pink Collar – named by Eukanuba’s Facebook followers; Named in honor of Canine Companions’ CEO Corey Hudson who will be retiring this year after 24 years of service. Don’t know about you, but here at Raising a Super Dog, we’ve been watching Holly girl. And we’ve got good reason to. Stay tuned for more about this exciting little fur-covered news item.